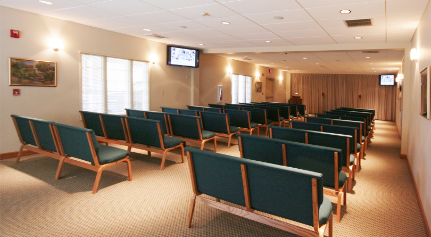 Built in 2004 to bring high-quality funeral services at a fair price to West Metro families, our Lakewood funeral home includes two beautiful, spacious chapels for funeral and memorial ceremonies, a variety of tastefully appointed rooms for family and visitors to gather, and a large-well-lit parking area. A funeral or memorial ceremony is a special time to honor your loved one. Many families find that the gathering time before and after services is just as important. Being able to relax with family and friends, catching up and receiving comfort is crucial after the busy days of planning services and making arrangements. 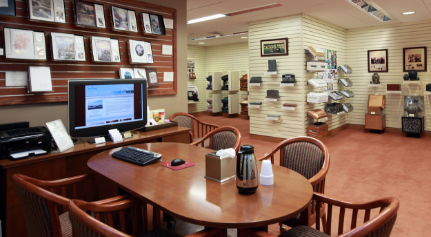 When we promise to provide you with quality funeral and cremation services at a fair price, the cornerstone of that promise is our caring, professional staff. Area Manager John Chalupa is a Nebraska native but has spent the past 37 years living in Colorado. 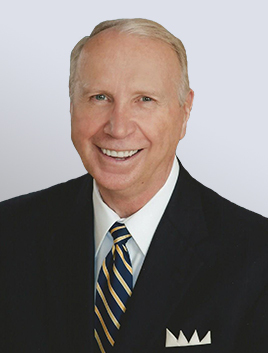 His commitment to our community is shown in his service as a Professional President Advisory Council board member for Collier Hospice and as a Eucharistic Minister at his church. He is also the President of his HOA board. John has worked in the funeral industry for over 37 years. His interest in the field was sparked after a field trip to a mortuary in the first grade. He is touched by the compassion and ministry in the industry and believes it is his calling. © 2019 Newcomer Cremations, Funerals & Receptions. Warren J. “Ren” Newcomer, Jr. is a licensed funeral director in the states of Kansas and Ohio. Theresa Newcomer is not a licensed funeral director. John Chalupa, Area Manager.